Today we have launched a new version of Site Explorer with improved functionality and a much improved user interaction. There’s more than one blog post of upgrades – so here’s a summary, with screenshots below. The first thing you should notice when you use our Site Explorer now is a cleaner font layout and a cleaner summary screen in general. But there’s added functionality in there as well. Here’s the screen shot for a typical site. Whenever I demo Majestic, I find myself looking at the Referring Domains tab BEFORE I start looking at individual back-links. So we changed the default tab order for usability – but we are seeing different people using our data for different things – so if you don’t like our order, you can change it. More of that later. Here’s the “top line” stats – now presented on the top line! If you want to switch between Fresh and Historic you can, but for most uses the Fresh data is still the default. To make it easy to see what the site is about, the Title of the home page is now shown when you ask for domain data. Previously we had this data displayed at the URL level only – which just felt we missed a trick, so this should be better for the user. 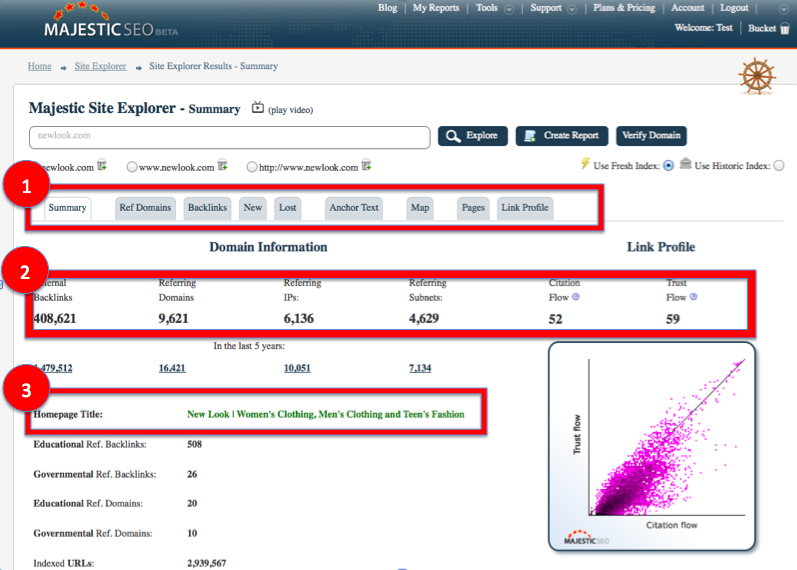 Here you can easily visualize a site’s links in different ways. It’s interesting to see when pages have excessive amounts of No Follow links going to them, for example. If I was looking for Search Engine signals, I would suggest that a site with lots of No Follow links coming in might be engaging in large amounts of blog comments. Shopping sites are likely to have more image links than other types of site and new for the first time you can visualize what percentage of links in our indexes (Fresh or Historic) did not resolve in the last crawl. So for most websites and pages, we will arrive at a page through a link and try to crawl the page. Sometimes we believe the page to be there but have not yet crawled it – for whatever reason – so if that’s the case we mark it “Not Crawled”. But most pages should be marked “downloaded successfully”. If they aren’t, then you have some technical issues to attend to! But we can now give lots of other responses. In the screen shot above, one crawl result is “failed to decompress” on the Superteddy page. So Super Teddy maybe needs to sort out his super hero abilities as his main strength now appears to be invisibility. You’ll see a 404 in the list too – something that can easily be rectified with a 301 redirect (at which point we’d SHOW a 301 redirect there). This new layer of data will – we hope – prove invaluable for web-masters trying to make sure their sites are working well. We’ll be showing if the page was blocked by robots.txt, didn’t resolve, had server issues or time outs and all sorts of other reasons. If we can’t specify why we were unable to see the page then we’ll tell you that too. So if you want a list of 404s being generated on your site, export to CSV and filter out the 404 responses. We had a chat internally about the best order for the tabs in Site Explorer – but we found different people looked at different sections. Maybe you always look at the same screen – say the “New Links” screen. We decided that always having to see the summary screen first if the only thing you do is click on the same tab was a waste of a UI enhancement. 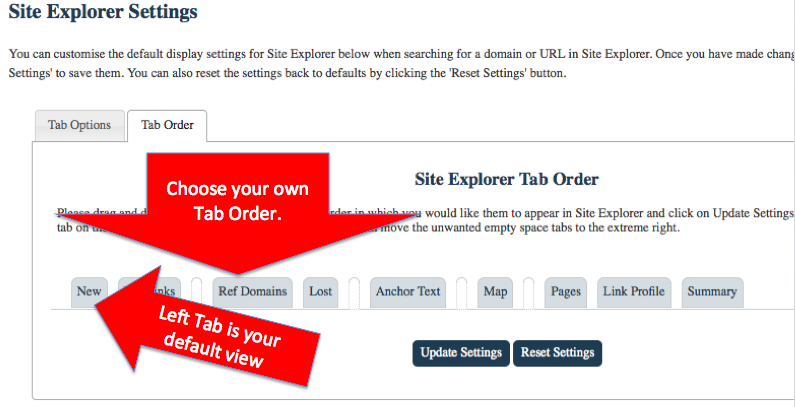 So now you can change the default tab order and filter settings for Site Explorer in your account settings. Cleaning the anchor text. E.G. making “Majestic-seo” and “MajesticSEO” the same. Setting the default results per page from 10 to 500 or 1000 per page if you want. I have already found this useful – setting the referring domains order to “Trust Flow, Descending”; removing the deleted back links from my default list and cleaning up the anchor text. Sweet. We have made some other enhancements too – to one of our tools in particular. We’ll try and get around to writing about it, but maybe you can have a look around and see if you can find the tools we upgraded. As a hint – if you use the new tool correctly you will be able to find out a site’s most prolific link partners or you can use it to find holes in your link strategy much faster than you could before. If you want a chance to win a gold star – tell us in the comments what you think has changed in our toolset since you last looked. You will be surprised at how much has changed. And that’s why I love majesticseo 😀 Great job! Indeed a great job, but these changes looks like the same functionality a competitor of your already have in place since a while. It’s good to see companies challenging themselves. Looks interesting, now everything clear from one look. Would it be possible to have the numbers of gov/edu links etc, link to a report of those specific links only? I always like to look which gov.uk and ac.uk competitors have, and see if I can get listed there too. Although generating these on the fly in Site Explorer would be too CPU heavy to be done on a limitless basis, you can filter down to these in advanced reports if you want to. Can we expect including % of links on the new chart (text links, frames, images)? Yes – that is in the new Pie Chart on the summary page. > Ohhhh! I’l put that on a wishlist. > I would also appreciate this % view! 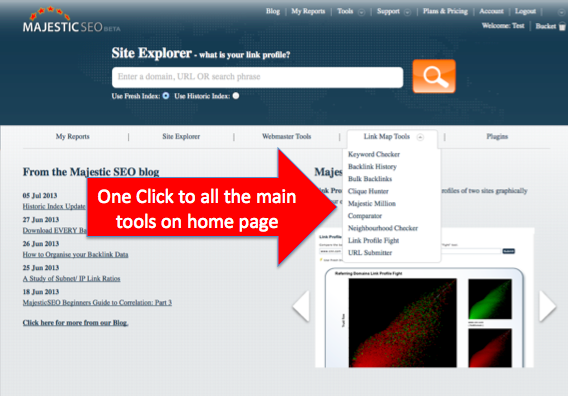 Very good job Majestic SEO, thank you for new features! One thing that I would like to see is a list of the 302 links. There are a lot of big sites that have a ton of affiliate links and it is hard to tell if they really have a lot of links or if they just have a lot of affiliate links. Thank you for improving. I love MajesticSEO. 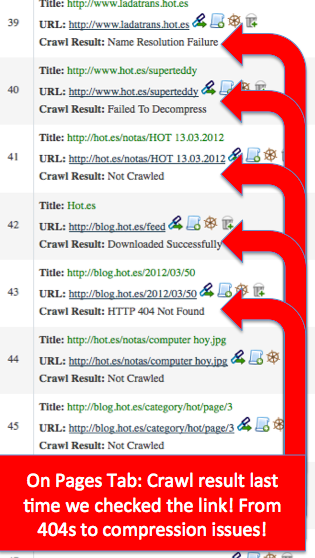 If you find the PAGES tab of a site, these will now show the last crawl result – including 302s. Is there a way to see more than 100 pages? I would love to be able to get this data from a full report? 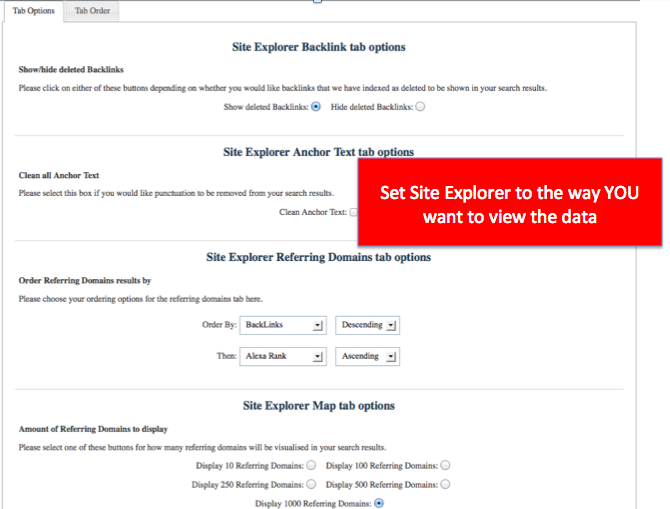 Site Explorer is just the overview of our data. You can export this to CSV or create reports to get tens of thousands or even Millions of links. You can see how to download ALL the links to a site here. Great new features Guys. Much better layout and easier to understand. I particularly like the new backlinks breakdown. Great work! That make more easy our work! Congrats! I love majesticseo! Even only with the free version – I get much more value than from many paid SEO analytics service providers. You are doing a great job majesticseo! Thumbs up! Wouldn’t it be better to combine historical and fresh index backlinks? What is the point in dividing them? It is largely a technical challenge. Analyzing the TrustFlow, Citation Flow, inbound link details etc on the whole of the Historic index is a computation that takes about a month to complete and the metrics are hard – you need to have the whole data set to be able to do the calculation. You can’t see a new link, then work out its TrustFlow relative to the Historic index on the fly as it minutely changes every other link… so trillions of minute changes. But the FRESH index is a mere 400 billion 😉 – That we can work out in a much shorter time scale. If you want, you can take the two data sets for a GIVEN URL and start to eliminate the duplicates to give yourself more data. Tools like SEOClarity do that. But to do this for EVERY domain is a multimillion pound headache to crack a relatively minor problem as the Fresh index contains enough live data for most people. Great job guys. It is definitely more user friendly and the additional info shown is very welcome. All improvements in the interface is les time consuming. I need to explore in depth to comment in detail. Majestic SEO is so helpful! I have learned so much just in the few days that I’ve been trying it out. I have only been trying out the free version, and they tell me more than several other websites combined! I love it! Very good indeed, a great support and help for most websites and pages, especially by removing the deleted back links from my default list and cleaning up the anchor text. i love it! Great Look, that’s why I’m using it! great change, I’m impressed. I love the pie charts. I use your site every day. It’s great! Was confused when first saw the new design but after just a few minutes got used to it. It’s actually much better than the old design, with most interesting information clearly presented on the top of the page. Great job! Glad to see these recent updates. SEO’s everywhere are appreciative! I am pretty new to Majestic I do like what I see, may I ask where is the page rank data? I see the trust flow and citation listings. 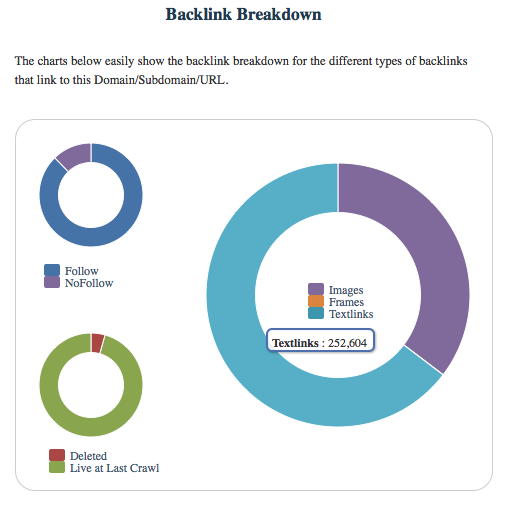 Where can I get the deeper backlink profile information? Thank you for all you do here. We do not track Page Rank as Flow Metrics are (we believe) stronger and are proprietary to Majestic. Here are several reasons. We also have a video tutorial on understanding Flow Metrics. Good job:-) Especially very usefull data about the last crawl result.